I’m always on the lookout for events that are both kid and adult friendly. A mom can only take in so many 100% kid-centered activities during the course of a summertime. Luckily, many Chicago museums and cultural institutions are catching on and offering events and experiences that will truly appeal to everyone in the family. The Museum of Contemporary Art offers art instruction for children while parents can shop a sweet Farmer’s Market or enjoy a cocktail and some evening jazz, in addition to stroller-friendly guided gallery walks. At the Lookingglass Theatre, parents can enjoy a performance while kids take part in creative workshops. These programs are all ideal for families visiting Chicago, too: Mom and Dad can relax, the kids are entertained, and no babysitter is required. 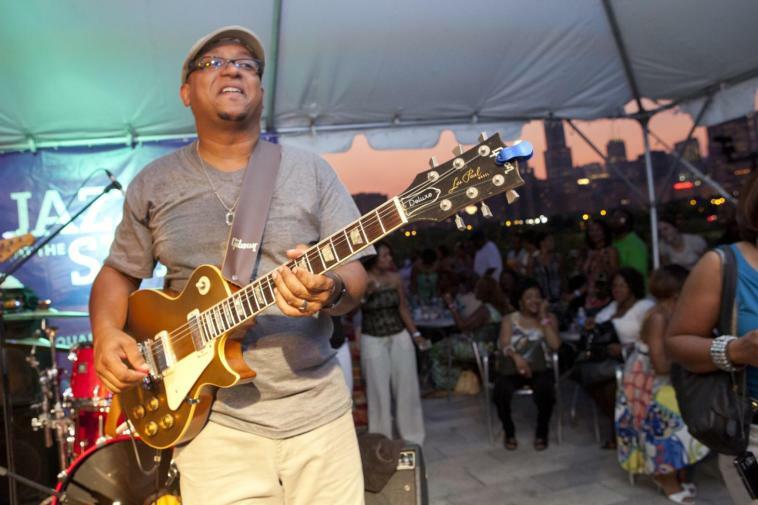 Another great option that shouldn’t be missed is Jazzin’ at the Shedd! The Shedd Aquarium’s popular summer concert series, Jazzin’ at the Shedd is another option for parents who want to take their children along with them for an evening of learning, fun and relaxation. Every Wednesday evening, from 5 – 10 p.m., parents can take in live jazz while the kids enjoy snacks and kiddie cocktails on the Shedd’s lakefront terrace. Everyone will enjoy the gorgeous skyline view. You’ll also be able to visit with the marine life in the Shedd’s colorful galleries, home to over 32,500 animal residents. All-Access tickets are $18 for adults; $16 for children (age 3-11) and include the Jazzin’ entertainment as well as admission to the Wild Reef and Oceanarium exhibits.